In the 2015 documentary Sonita, award-winning Iranian filmmaker Rokhsareh Ghaem Maghami follows the struggles of Sonita Alizadeh, an 18-year old Afghan refugee who lives in Tehran with her family, to escape a forced marriage that would condemn her to a lifetime of misery and violence. Sonita, the protagonist, was born in Heart, a city in Western Afghanistan, and moved to Iran as a child to escape the violence of the Taliban regime. In Tehran, she attends daily classes at a non-government center that helps young refugees adjust to their new lives, and spends her time with other Afghans, often bright young women like herself, whose futures are clouded by the ever-present danger of a marriage in which they have no say. Yet Sonita has a unique source of strength in her life. A talented rapper and songwriter who dreams of becoming the next Rihanna, she turns to music to escape the pressures of her daily life and the demands of her family. As singing in public is illegal for women in Iran, Sonita makes her music hidden away from prying eyes and so creates her own world of which she is in sole control. Sonita’s life takes a turn for the worse when her mother insists that she must return to Afghanistan to marry a man who had offered $9,000—a small fortune for her family— for her hand in marriage. Facing a decision that will change her life completely, she must choose between obeying her family or pursuing her dreams and the future she yearns for. After begging her mother to stop the arrangement, Sonita’s mother concedes and, as a compromise, gives her a month to raise $2,000 for her family so they can put off the marriage. Faced with this challenge, Sonita decides to use her talents and create a music video for her song “Brides for Sale” to raise the money. With the help of Maghami, who she had met through her cousin at the center and with whom she had meanwhile become friends, Sonita creates and posts her video online. The harrowing images of Sonita in a white wedding gown with her bloodied, battered, tear-streaked face, and her harrowing pleas to her father not to subject his little girl to such a cruel fate, immediately goes viral. Sonita vigorously tackles two important themes. First, the continued power of archaic cultural traditions, such as the custom to marry underage girls to much older men for significant sums of money, and the devastating psychological and physiological consequences for these girls. Maghami shows without judging that many of the Afghan girls and women in the refugee center, faced with intense social and familial pressure, have resigned themselves to the fact they will be sold into marriage. As such, Sonita’s resistance to the fate her family has chosen for her is a clear exception within her community and a testament to her incredible strength and willpower. Second, and more upliftingly, Sonita shows the importance of following one’s passion despite any obstacles in the way. Sonita is a story that keeps viewers on the edge of their seats throughout. 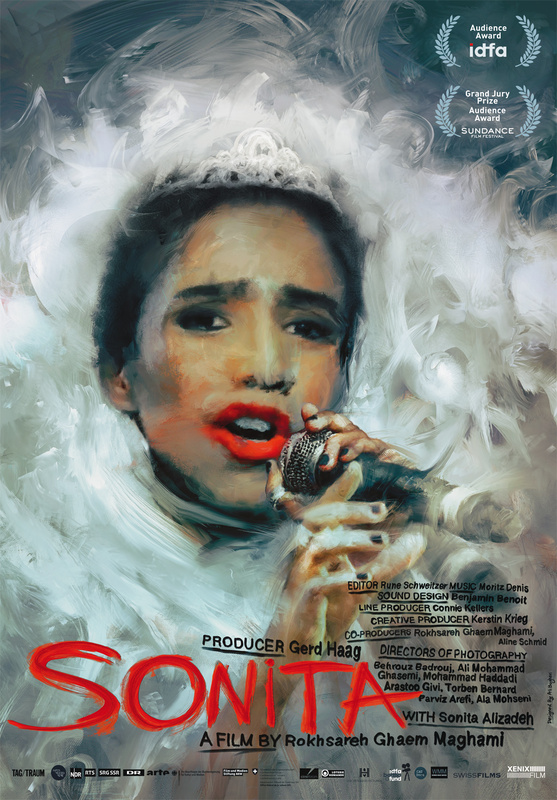 Without hubris or sentimentality, it captures the reality of Sonita’s life, struggles and triumphs, and evokes feelings of deep empathy from the audience who will want to cheer on the fearless Sonita as she stands tall against a society that seeks to crush her spirit. In this must-see documentary, Maghami sheds light on a cruel, inhuman custom that is too-often justified by “culture” while celebrating a brave young woman determined to control her own destiny.